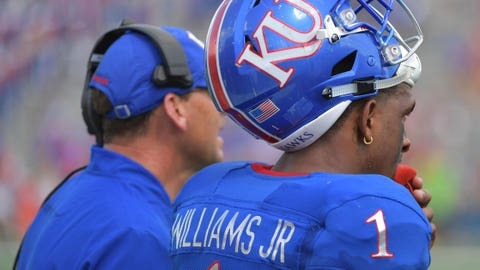 Running back Pooka Williams Jr. has been one of the bright spots in coach David Beaty's final season at Kansas. LAWRENCE, Kan. — Tom Herman wasn’t on the Texas sideline two years ago, even if a bunch of his players were, when the Longhorns walked out of Memorial Stadium with a head-shaking loss to Kansas. The fact that the Longhorns are in the mix heading into their regular-season finale may be the best evidence of the progress Herman has made. 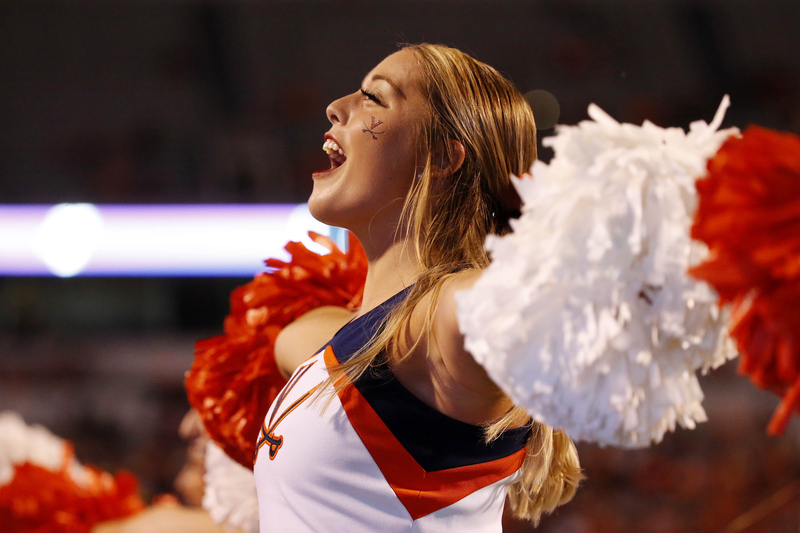 The year they lost to the Jayhawks, they finished 5-7 for a second straight season and played their finale knowing a bowl game was out of reach. “We’ve come a long way, but we’re far from a finished product,” Herman said. “I would argue we’re overachievers at this point, when you look throughout the landscape of our conference. How many first-team all-conference guys do we have on our starting 22? I don’t know. I think we have some pretty good players, but we have a lot of guys that know how to play team football. David Beaty will be coaching his final game for Kansas on Friday, having been relieved of duties with two games left in the season but allowed to finish out his fourth season in charge. He has only six wins over that time period, including that monumental high of beating the Longhorns. He has one more chance Friday. Kansas freshman Pooka Williams Jr torched the Sooners for 252 yards and two touchdowns on just 15 carries last week.